1. Workout 1st thing in the morning, as soon as you drop off your kids at school. Why? 99% of the time, if you go home first or run errands, you won’t workout. Something always comes up to interfere with your workouts. Getting your workout in early on in the day helps you feel productive, raise your metabolism all day long, boosts energy and encourages healthy choices all day long. Seriously, put on your workout clothes as soon as you wake up and DO NOT take them off until you’ve finished your workout. Honestly, so many times I wear my active wear, baseball cap and jacket all day long, even after I’ve worked out in the morning. 3. 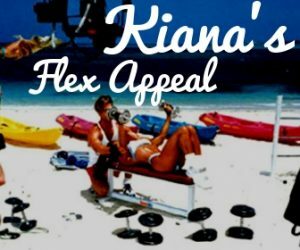 Create your own Home Gym workout space: On Kiana’s Flex Appeal ESPN, I created one of the most popular training segments, Home Gym Workouts. Everyone should have some sort of Home Gym. Whether it’s just free weights and a mat; or complete weight stack / rack, stability balls, medicine balls, etc. Having equipment set up in your home makes it simple to do a 15 minutes workout during the day. It’s perfect for busy moms. When my kids were little, I worked out while they napped. The benefits of exercise are cumulative, 15 minutes in the morning, 15 minutes at night = 30 minutes of exercise. Other benefits: you save time not driving to and from the gym. You save money by not paying high gym membership. You buy the equipment and it’s yours to keep forever. At the gym, you are using germ filled equipment, at home – yours if clean(er). You can listen to whatever music you want, watch whatever tv show you want, wear what you want. No guys hitting on you. You can focus JUST ON YOU. 6. Eat 2-3 hours. 3 Meals and 2-3 healthy snacks: Every meal and snack MUST include protein. By eating frequently, you keep your metabolism high, making your body a fat burning machine. Many people make the mistake of not eating often enough. They think they are doing the right thing but actually it’s counter productive to losing weight. When you deprive yourself of food and go without eating for longer than normal periods of time, your metabolism literally slows down and your body goes into starvation mode to conserve calories because it doesn’t know when it will get the food needed to survive. 7. Healthy Hydration. Studies show that most people don’t drink enough water. Often when we think we’re hungry, we’re really just thirsty. I try to drink a glass of water right when I wake up, before every meal and snack, before bed. To make it easier to drink more water AND get extra nutrients in my body I love love love my Detox Infusion Bottles. They make it so fun and easy to increase the amount of water you drink. My friends, family, kids and clients all use these. They constantly SELL OUT in my online store. I sip water all day long to detoxify and hydrate my body. I don’t drink sodas and straight juice is just too much sugar. But I do LOVE cool naturally flavored waters. This amazing bottle will hold the fruit and vegetables to infuse your water with delicious flavor and extra nutrients to detox your body with every sip. Can’t get more natural than this! 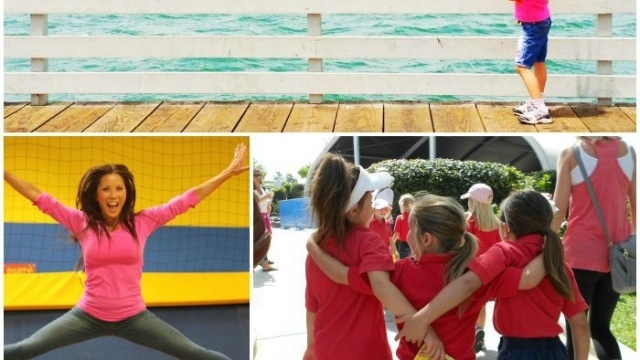 BACK TO SCHOOL MEANS LET’S GET BACK TO FITNESS!